The Wilkes University Intensive English Program(IEP) lets international students immerse themselves in English language instruction and American culture. Attend intensive English classes from 8:00 a.m. to 4:00 p.m. Monday through Thursday, and 8:00 a.m. to 11:15 a.m. on Friday. Live with American students on a small campus located in a small, safe city with easy access to New York and Philadelphia. The IEP follows the Wilkes University schedule and has three, 13 1/2 week semesters each year in the Spring, Summer and Fall. Study reading, writing, listening, speaking, grammar, extensive reading, and academic conversation preparation.. Two hours each day are required in the computer lab, where students work independently with a variety of software. The IEP also offers a Bridge Program to Undergraduate Students in level 5, who can take one Wilkes University credit class, if they meet all other IEP requirements. The IEP curriculum prepares international students to study at American universities and to improve their English for future studies. The approach is rigorous, and academic English is emphasized. The IEP encourages students to work closely together and take advantage of exceptional learning opportunities. The use of project based learning gets students active in the Wilkes Community, while developing a more in depth cultural awareness. In our small classes, students participate actively and receive individualize attention not found in larger programs. 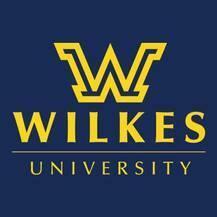 The Commission on English Language Accreditation (CEA) recently granted Wilkes a 10-year accreditation. Kimberly Niezgoda, Director for the Wilkes Intensive English Program, hopes to welcome you to the learning adventure of a lifetime.